Marketing means different things to different people. For some, it's synonymous with advertising. For others, it's the elephant in the room - it wants your attention but you can't quite focus on it right this minute. Still others equate marketing only with social media, or SEO, or public relations. For small & local businesses, marketing often means being agile and creative with limited resources. It means having a laser-sharp focus on potential customers, and making hard decisions on how to spend your marketing dollars. 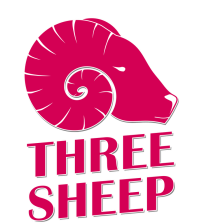 Three Sheep can help you scan your target market, identify the best customer, craft the most relevant campaign, and increase your sales. Whether you can't think of what to say, or have a lot to put on paper, Three Sheep can help you write, edit, and beautify your text. Composing blog posts, email campaigns, newsletters, brochures, and even job descriptions is second nature to the bard at Three Sheep. You may or may not know the industry terms "user experience" (UX) and "user interface" (UI), and you may or may not care where that contact form goes on your homepage. But we do, and we know all the best practices in creating a website that's easy to navigate, clear to comprehend, and a breeze to maintain. We can set you up with analytics tools and a simple content management system so you can be in full control of your website and understand what content is popular and what promotions aren't a positive influence on your chi.